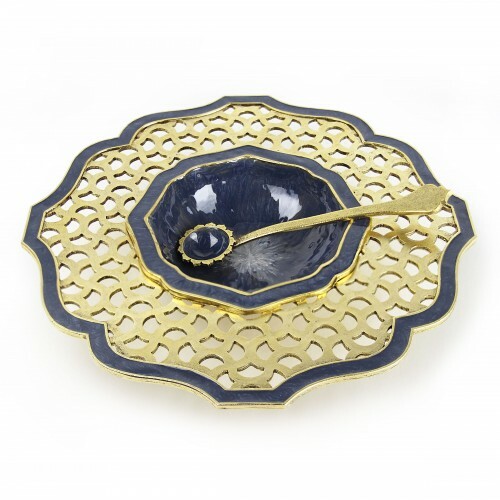 Magnificent Pewter Honey Bowl, Plated Gold With Hand Painted Trim In A Air Force Blue Color With Matching Spoon.Blue/Gold/Pewter. 2 PC Set. Dish L-7 1/2", H-1 1/4", Spoon 4 3/4". Exceptional showpiece designed by Marcella and staff. Made in New York City.